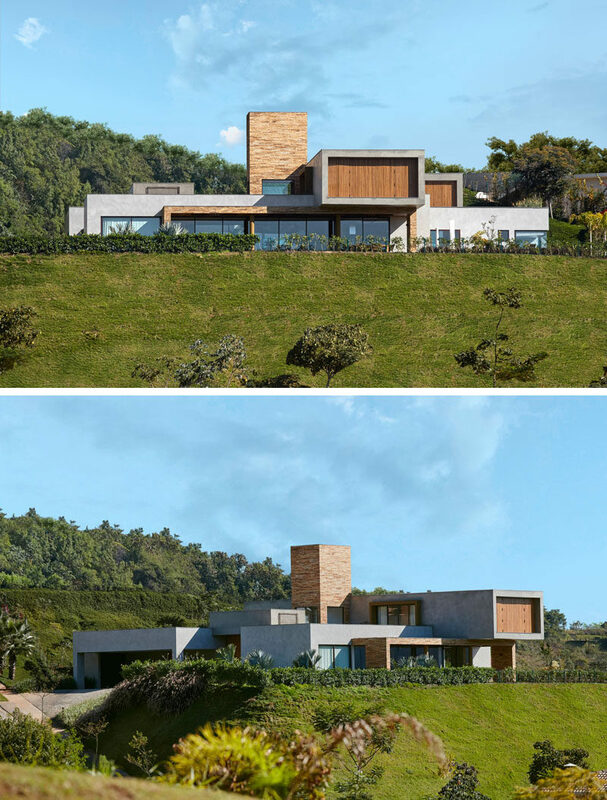 Architect David Guerra has recently completed a new modern house in Nova Lima, Brazil, that been designed for a couple and their adult sons, who wanted to have a place to entertain guests. 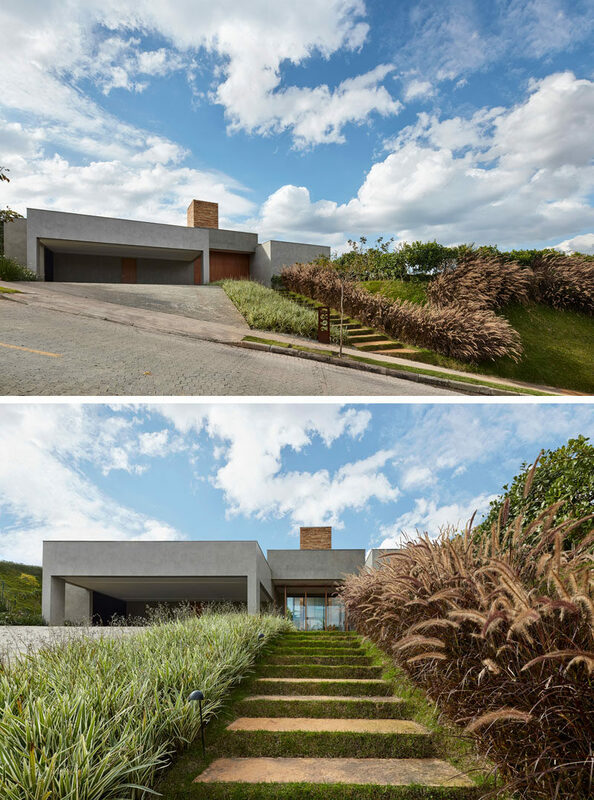 The house, which sits on a slope, has stairs that are embedded into the hill and are surrounded by grass. 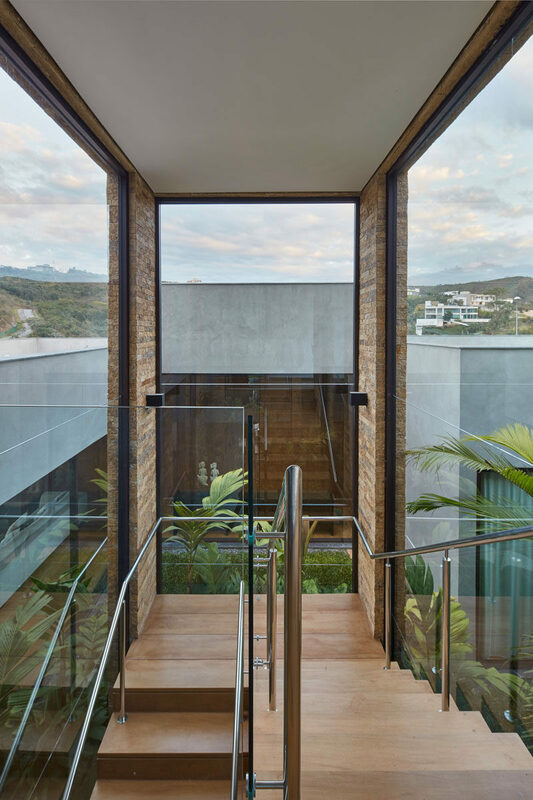 Stepping inside, large windows surround an internal garden, while a hallway leads to the main living areas of the home. The living room and dining room share this large and open room that’s been split up into sections with the use of furniture and a fireplace. 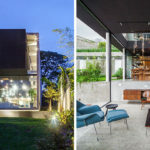 At one end of the room is a TV area with a small sofa, next you have the main living room with a fireplace hanging from the ceiling, and last, is the dining area with a table large enough to ten people. 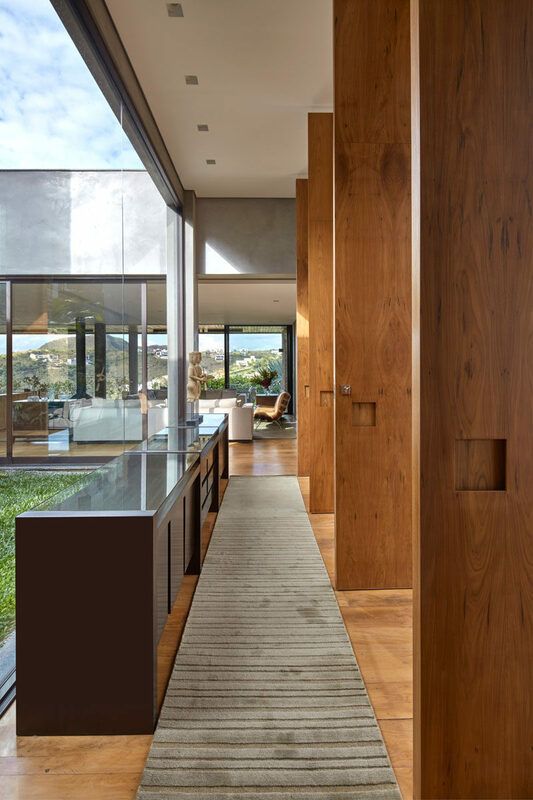 Behind the dining table is a wood wall that slides open to reveal the kitchen and extends the living area of the home. Patterned tiles help to define the kitchen, while a black countertop contrasts the rich wood cabinets. 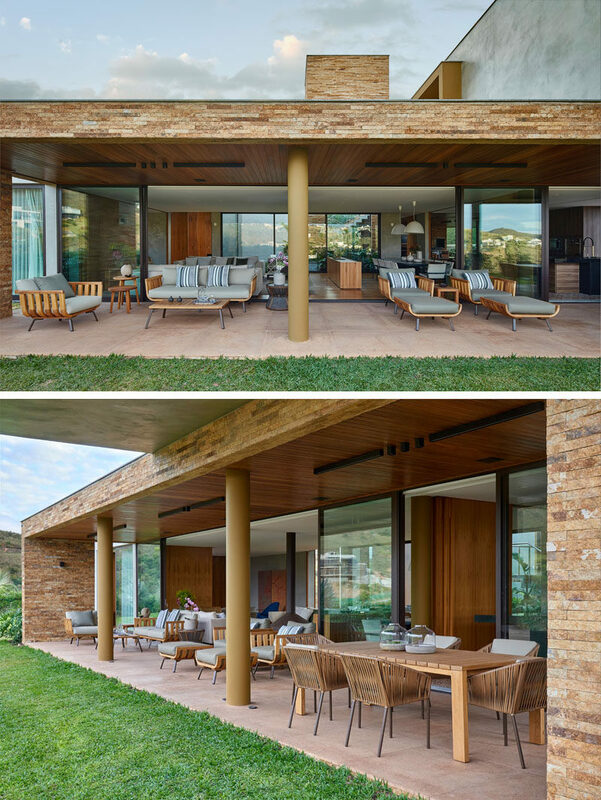 The living areas of the home all open up to a covered outdoor entertaining area with various seating options and an alfresco dining area. Around the corner from the covered area is a swimming pool with a large deck. Beside the swimming pool is an enclosed hot tub that can be enjoyed year round. Next to the swimming pool is another entertaining area, this time it’s been set up with a pool table, bar area and a lounge. This space also provides access to the kitchen and living areas, as well as the stairs that lead to the upper floor of the home. 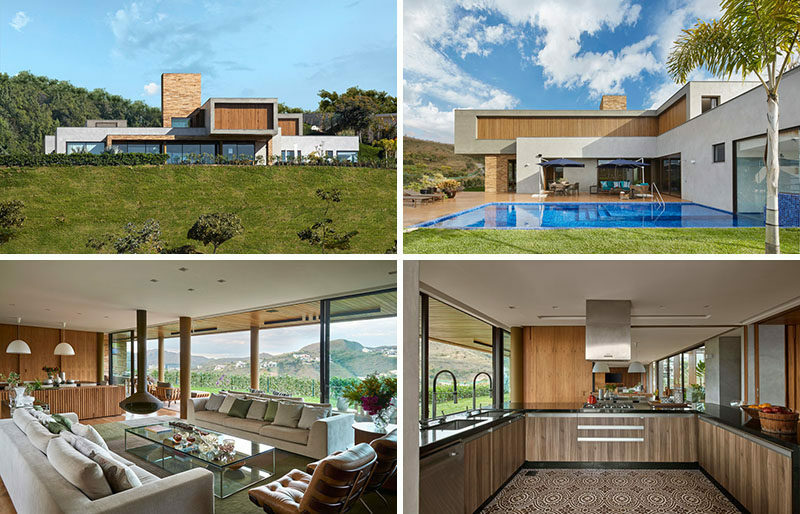 As mentioned earlier, the internal garden is positioned in the middle of the home, creating a centerpiece that the house wraps around. 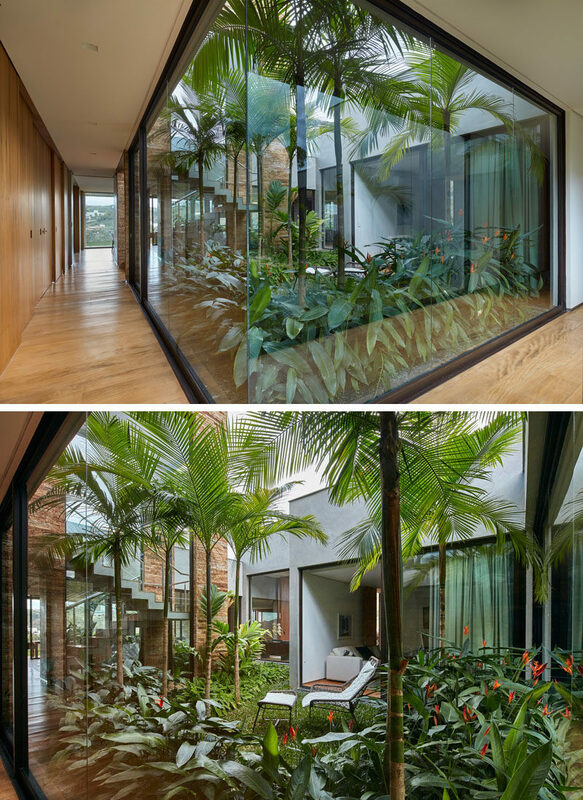 Floor-to-ceiling windows provide a view of the garden, while at the same time allowing light to flow through to the interior of the home. 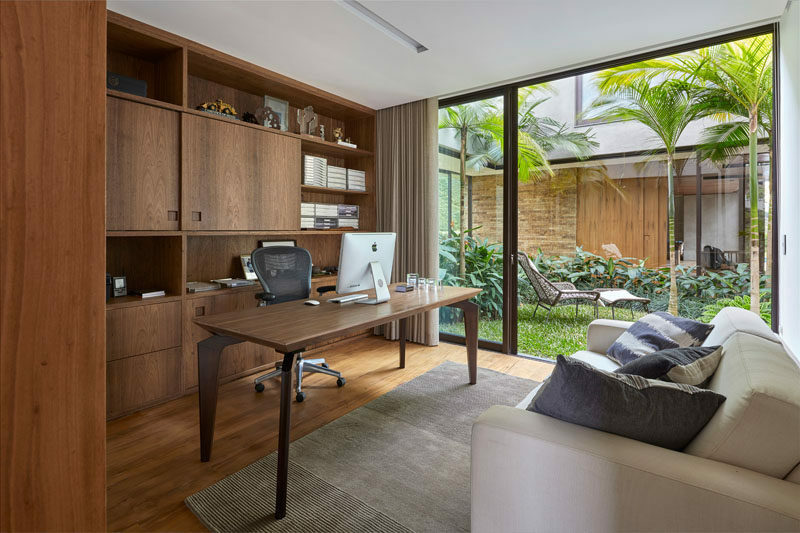 Located off the garden is a home office with a built-in wood shelving unit. The home office has access to the garden, perfect for relaxing. 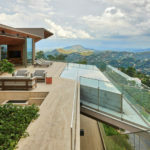 The stairs that lead to the second floor of the home are constructed over the internal garden and large windows provide views of the surrounding landscape. 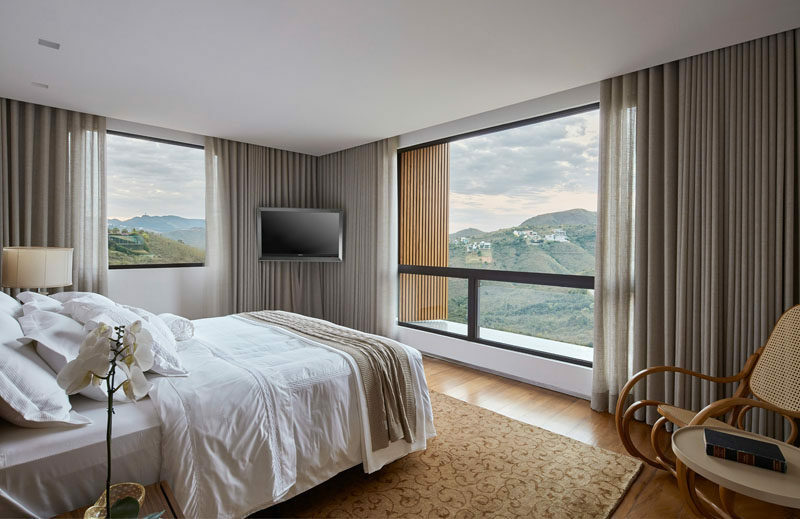 The bedrooms are located on the top floor of the home, and they have a neutral color palette to allow the mountain views to be the focus of the room. 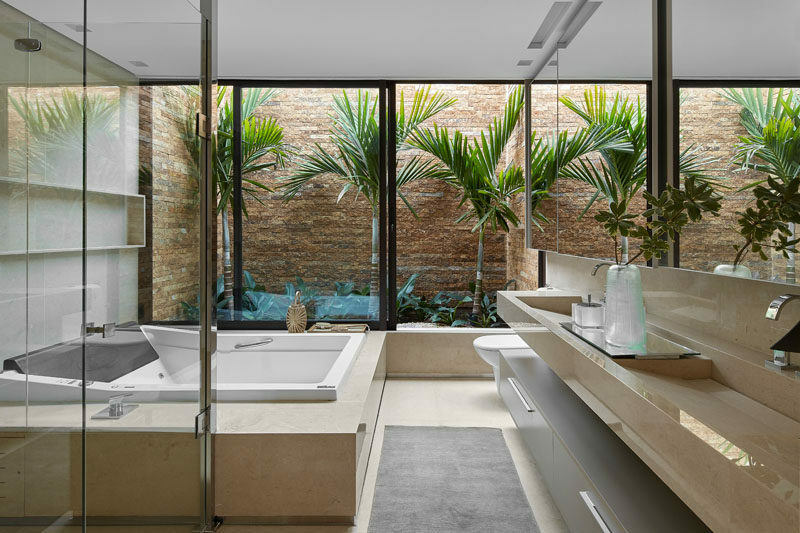 Unexpectedly, the bathroom that’s also on this floor has a private garden that creates an almost tropical feeling.